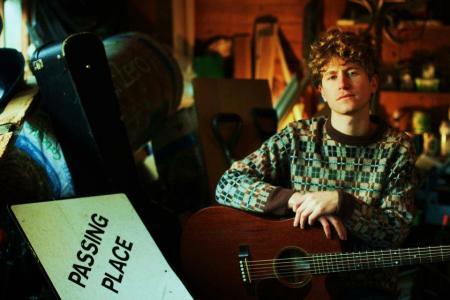 Laurie Hulme is a busy man - when he's not playing in Mancunian outfits Golden Glow and Beat The Radar, he's making a name for himself under his Songs For Walter guise. He follows his debut EP with the excellent lo-fi folk of 'Tougher Than A Soldier's Boots', downloadable for free below. Hulme released his debut single on Holiday Records, the label run by Jacob from The Drums, following up with the 'Meet Me At The Empire' EP on Red Deer Club, home to Sophie's Pigeons and Stealing Sheep, earlier in the year. This free download "single" is a joint venture with Red Deer Club and American label Bleeding Gold. 'Tougher Than A Soldier's Boots' is the star turn, surprisingly inspired by Louis Theroux and his documentary examining the grossly intolerant members of the Westboro Baptist Church. Wrapped in an appropriately quaint production, 'Tougher Than A Soldier's Boots' is warm, heartfelt acoustica. 'Where Are You Going?' is more calculated in comparison, pounding away in a metronomic fashion but with a similarly warm spirit. Download the tracks below, and listen to the lead track from the EP that was released earlier this year.